The LTR52 Series radar level sensors are designed for applications requiring non-contact level measurement where ultrasonic level measurement is not acceptable. The LTR52 Series radar technology can be adjusted for variables such as materials to be measured, vessel configuration and system interface. 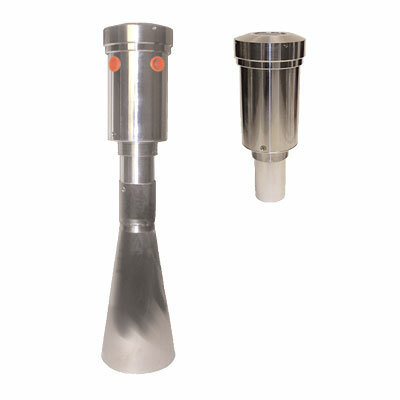 These sensors are ideal when vapor or dust prevents ultrasonic wave measurement. Please call us at (800) 446-4316 or contact us here for more information on non-contact level sensors, other level sensing equipment or for any other process variable control needs.